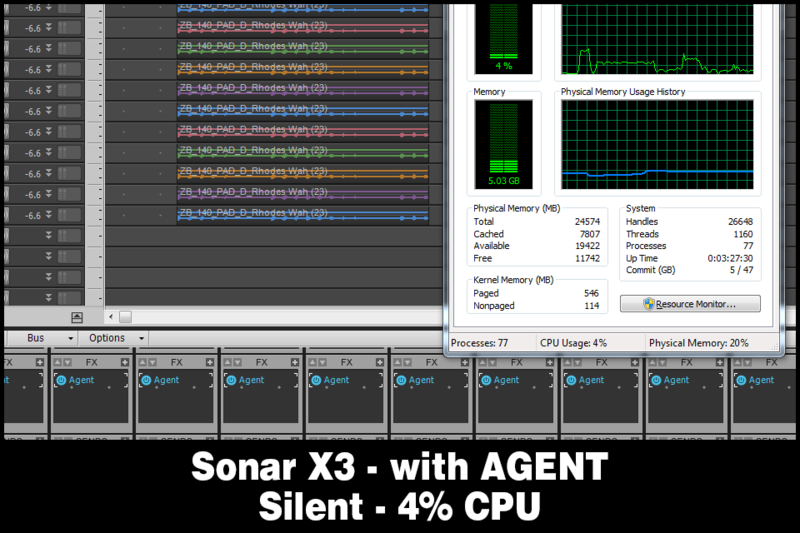 Agent can be configured with generic knobs like any other program offering macro controls. BUT, once you have created your ULTIMATE CHANNEL STRIP you can customize it with Graphics, Labels, Values, Tic Marks, Lines AND Knobs, Buttons and Switches in a variety of colors. 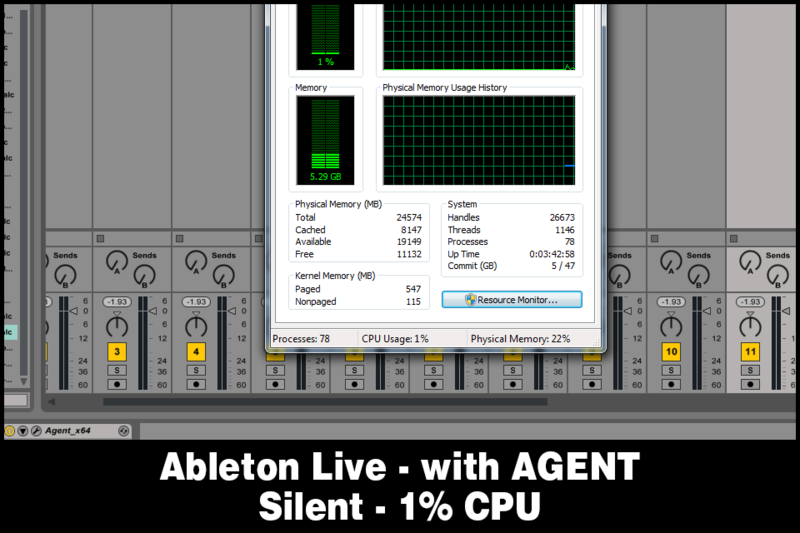 Smart CPU Saver releases CPU resources on any track that is not currently receiving audio. 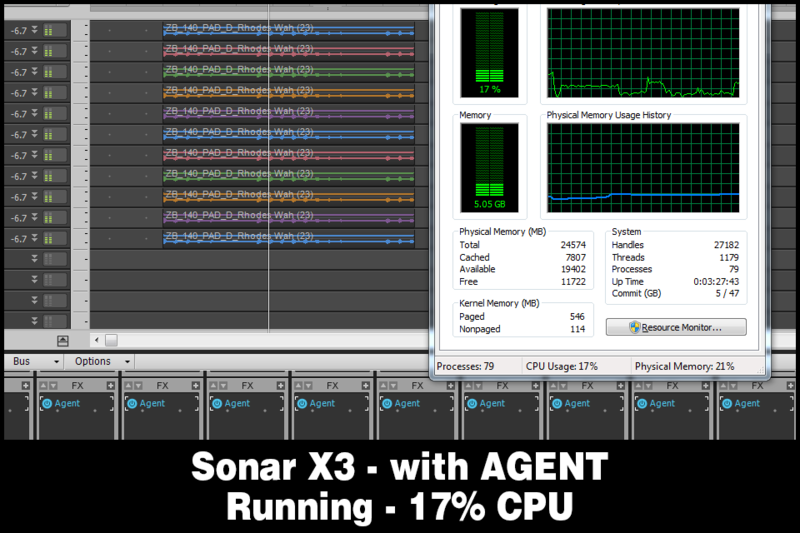 Click the DAW titles below to see the results on Ableton Live and Sonar X3. More examples are being documented. 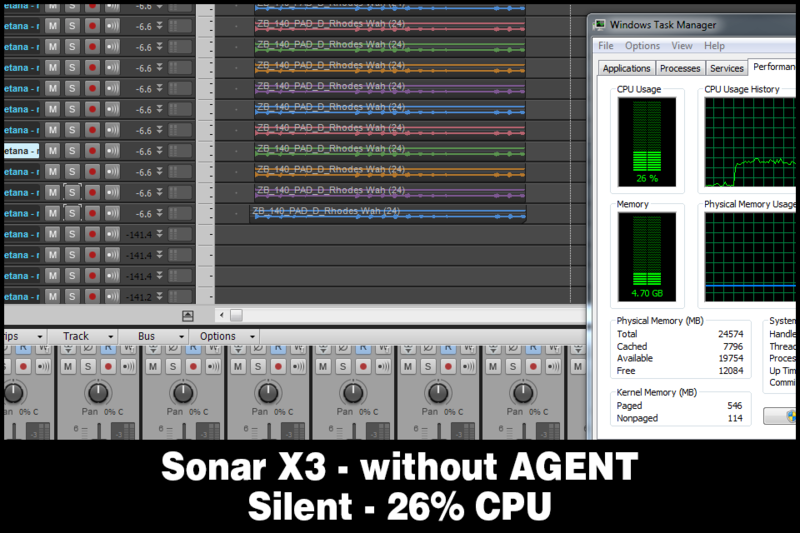 The examples below are from projects with 22 tracks, 11 of which are concurrently processing audio using an identical group of 6 plugins from multiple vendors. There are 4 use cases as labeled. 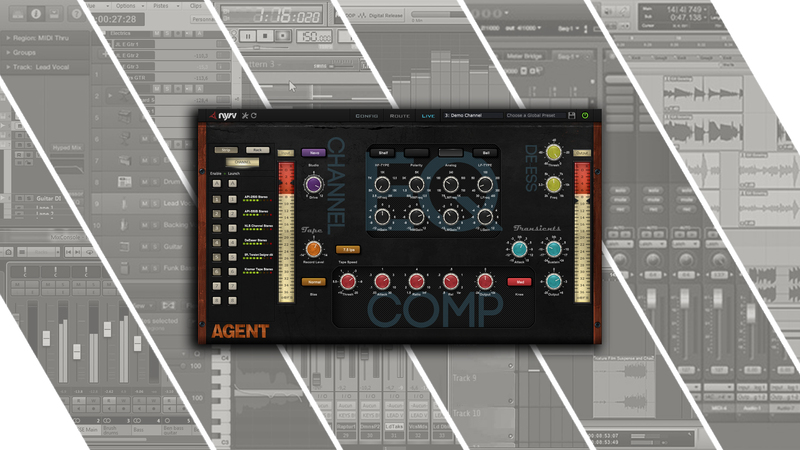 both modes allow easy drag and drop ordering of your plugins, adjusting the wet/dry of AGENT and each slot of agent independently, and the gain in each slot. Use the slot meters in both modes to quickly GAIN STAGE your entire signal chain quickly and easily. 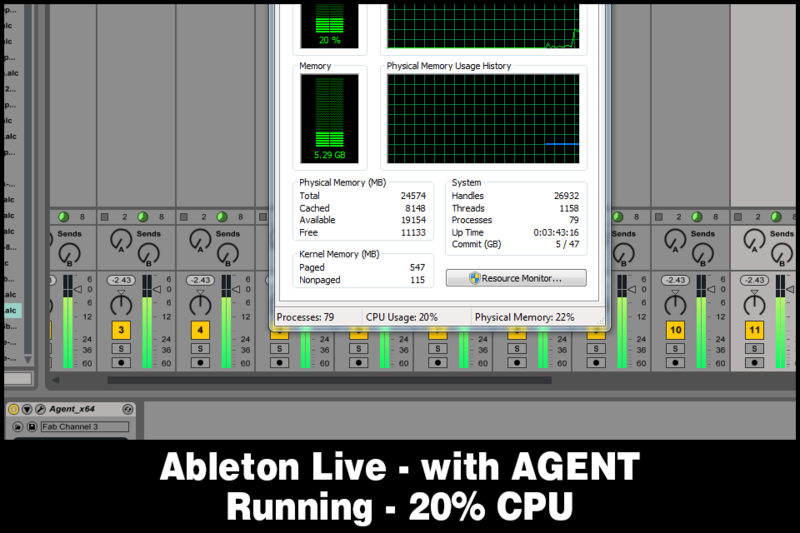 Monitor output levels from every plugin on the active page in AGENT, or do full gain-staging of every plug-in in your signal from the routing page. 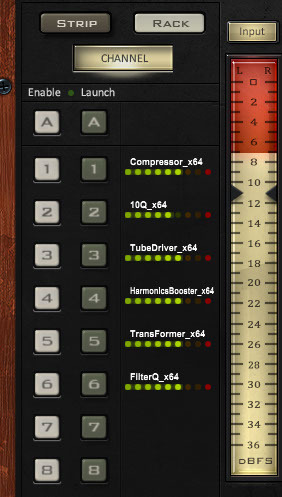 Each Plugin Slot has a 10 element meter on the routing page and a 9 element meter on the live page. NYRV Devices are specialized plugins that run exclusively inside AGENT. We used a semi modular approach when deciding what to include in an individual device. Because each device is designed from conception to work with and compliment the processing done throughout the library, you can be sure that effects chains you build with NYRV devices will sound like they were born to be together. 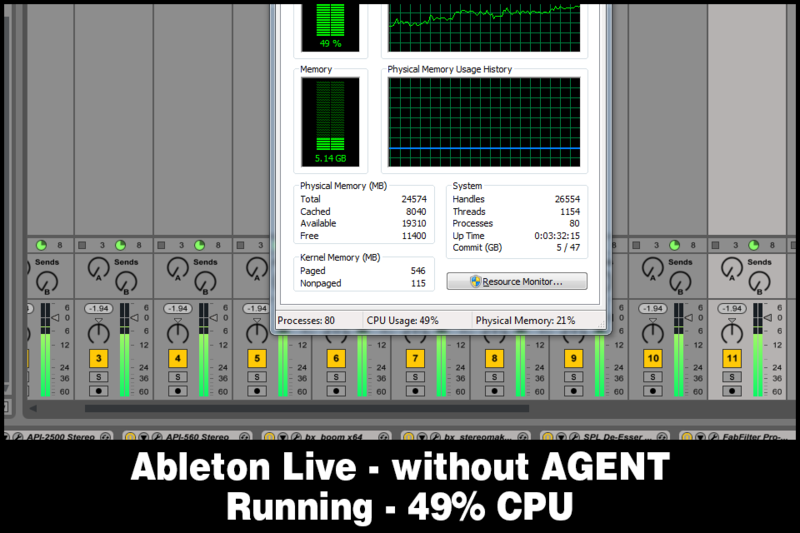 All devices are Ultra Low Latency and light on your CPU so you can use them across your entire project whether you’re tracking, mixing or working live. 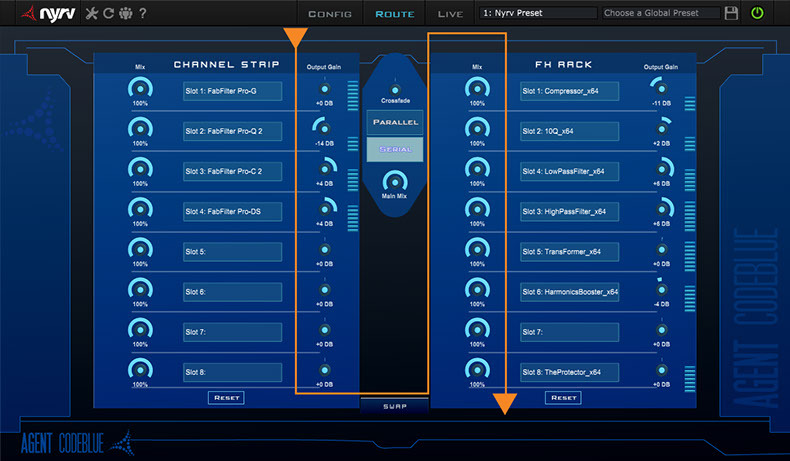 Because you can build your channel strip to your own taste we don’t duplicate parameters across plugins. 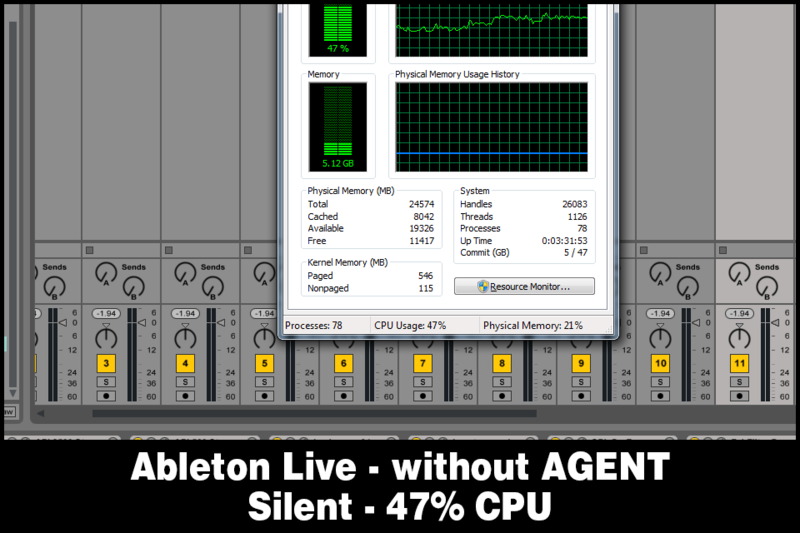 If you need limiting on a track you load up “The Protector”. Need a little bite? Drop in an instance of “Drive”. This means your system isn’t having to work on parameters from plugins that you aren’t even using. We created 3Q to provide a quick and easy approach for broad sculpting of a track. It can be used on virtually any sound source and provides instantly musical results from screaming guitars and heavy drum tracks to gentle vocals and acoustic guitar. It is also extremely useful on voice over tracks where all you need to do is round off the edges. Each band has +/- 16db of gain. Based on a Vintage graphic EQ from the late 60’s, this little work of art is ideal for sweetening and room tuning. While this device provides transparent effect, the response is remarkably smooth and pleasing to the ear and is an extremely accurate model of the curve created by the hardware version. This device is modeled on a famous bus compressor known for gluing together a mix and we are all super proud of the results. The variable knee makes it a bit more versatile than the original without losing any of the mojo. This incarnation of the audio engineering icon from which it draws inspiration can work its magic as an all-purpose compressor whether on a channel or a buss insert. The Drive device is a tube emulation modelled after the vintage Telefunken ECC83 tubes with drive, triode/pentode mode and bias settings. Pentode and Triode switch alternates the drive between two classic methods of powering a vacuum tube. Experiment between the two to find the sound that suites you best. Bias is a subtle coloration of the drive unit that controls the idle current that the tube draws. Again, with just three controls there is a tremendous range of characters that can be achieved. A creative dual cutoff filter with both Hi and Lo bands. Filter-Q has a smooth curve when resonance is set to minimum. This makes it effective for rolling off highs and lows during the mix process. 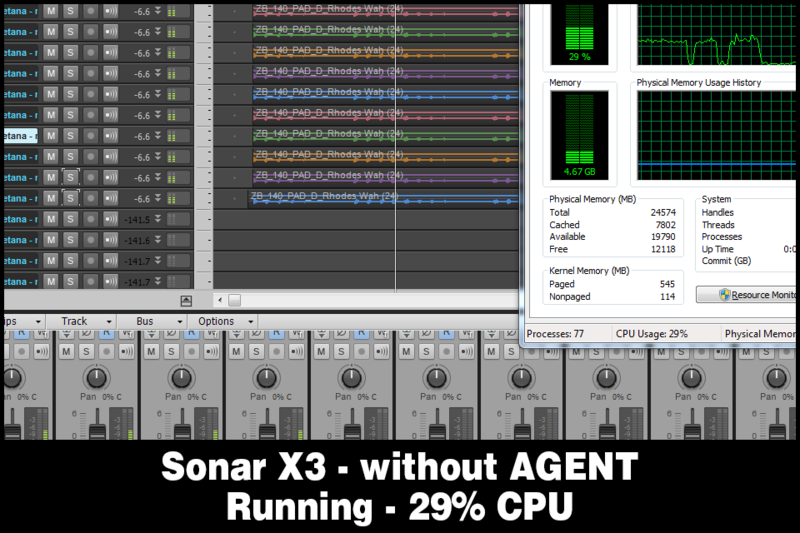 Yet with 21db of resonance it is also incredibly effective for creative filter sweeps. This is a harmonic enhancer that features 3 hand tuned filters. 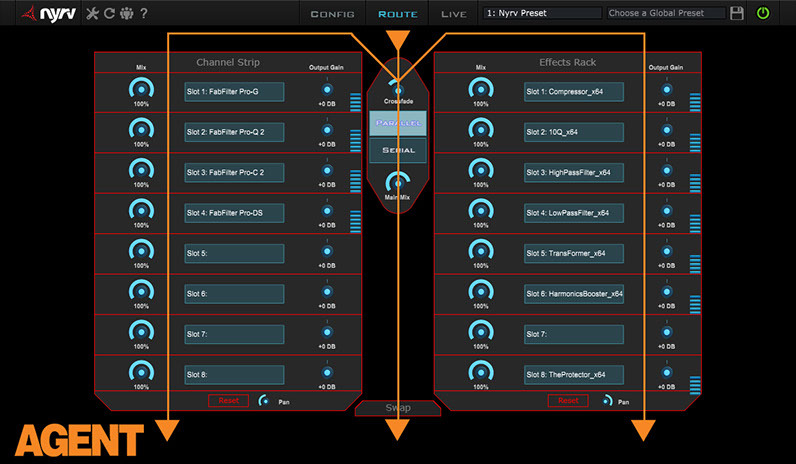 You can balance the tilt of the filters with the bass and treble knobs and sweep the effect using the harmonics knob. 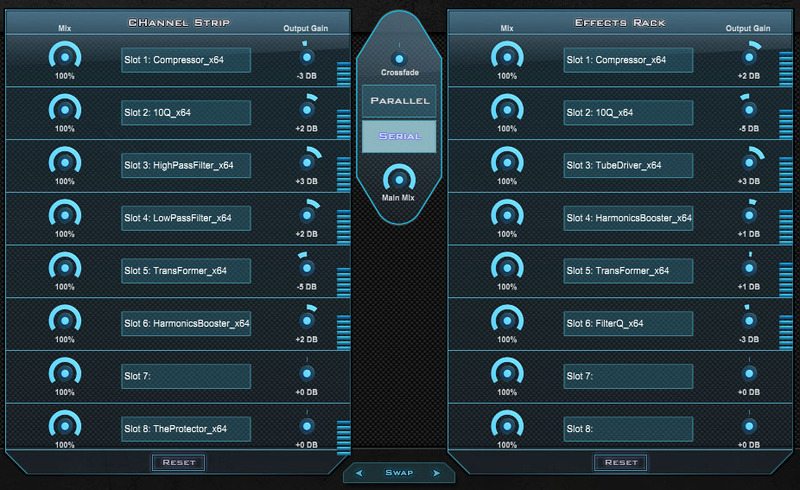 Both of these handy filters share the same design, parameters and range. These are excellent filters for cleaning up a mix allow gentle filtering to extreme cliff like attenuation. You can drop this killer one knob limiter anywhere you need to be sure isn’t going clip. No matter what you do! Dead simple and effective it’s a great tool to have anywhere you want to eliminate peeks without otherwise effecting dynamics. There is no background for this device. A Classic Transient shaper this device gives you control over the sustain and punch of any sound source. It is an incredibly useful tool with a variety of source material and gives you tweaks that would otherwise require re-tracking.